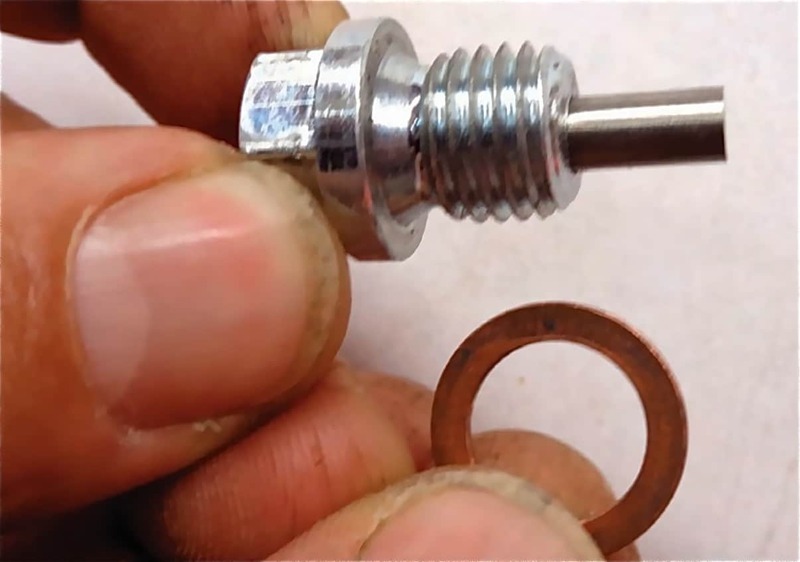 The single most important piece of this drain bolt is the copper washer. I replaced the oil in my 2017 KTM 450SXF, but when I got the job done, it leaked oil out of the drain plug on the side of the engine. So, I drained it again, but this time I cross-threaded the drain-plug bolt. Now I have wrecked the threads. What can I do to fix this?